Look for an edge? Got one to share? This is the place. 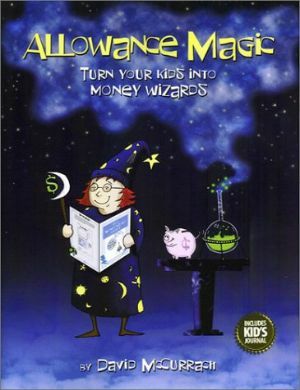 Allowance Magic is an individualized program. Each family brings their own values and their own way of doing things to this learning process. You've probably come up with some especially effective techniques as you've applied the Allowance Magic principles to your own situation. Chances are other families would benefit from your experience. Please take a minute and send us your "Success Tips." We'll post them to this page for all to read and take advantage of. Enter your Allowance Magic Success Tip in the box provided below. When you're finished simply click on the Submit button. To clear your entry, click on the Reset button and you can start all over. Your information comes to us anonymously. We do not know your name, your email address or any other identifying information. By submitting your information, you are giving us your implied permission to display it on this portion of the Allowance Magic website. Please note: After you have submitted your Success Tip, simply select "Back" on your Web browser to return to Allowance Magic. © Copyright 2004 by David McCurrach. All rights reserved. Revised 6/14/04.